You have got to be kidding me! 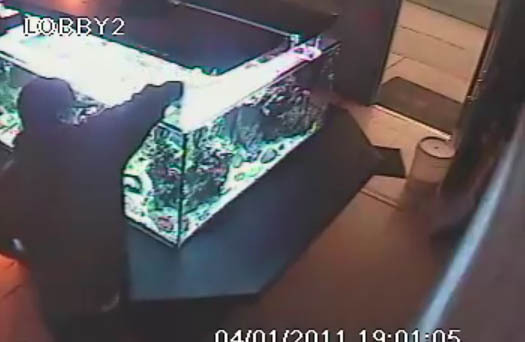 A few days ago, a thief entered Marine Aquatics, a Midvale, Utah fish store. The man left a bucket outside, then spoke to a store employee for a few moments, then walked out. On his way out of the store, the man ripped out several large pieces of corals. Ohrn is working with Midvale police on this. He’s also offering a reward. If you know anything, give them a call at 801-840-4000. As you can see in the video below, the man was caught in the act, and hopefully will be recognized and apprehended. Wow. How in the heck did that happen? From what I heard he was in on this lil theft. That he got a good amount of money from insurance on top of it all. This store is ran by a crook anyway.